Though I do have some further information. 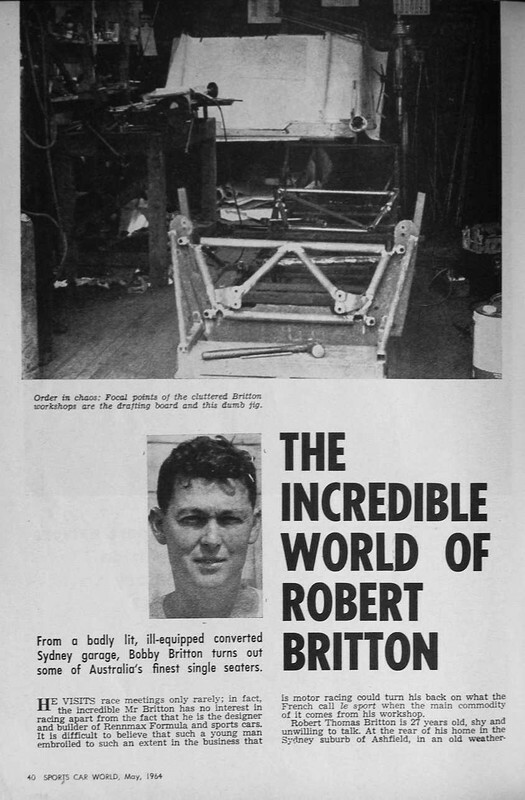 Bob Rawsthorne suggested a new chassis to be built by Pat Crowe. 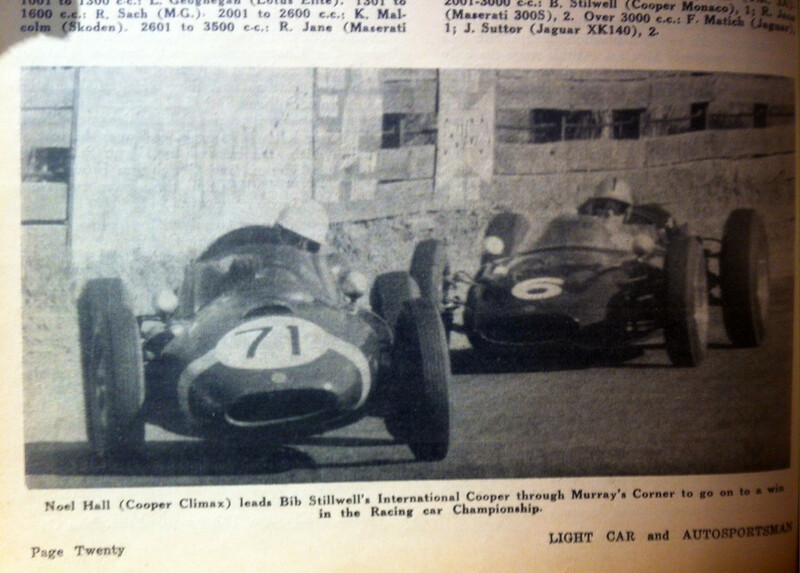 This had been commenced for the Hough Cooper Maserati but Rawsthorne was involved with both cars. 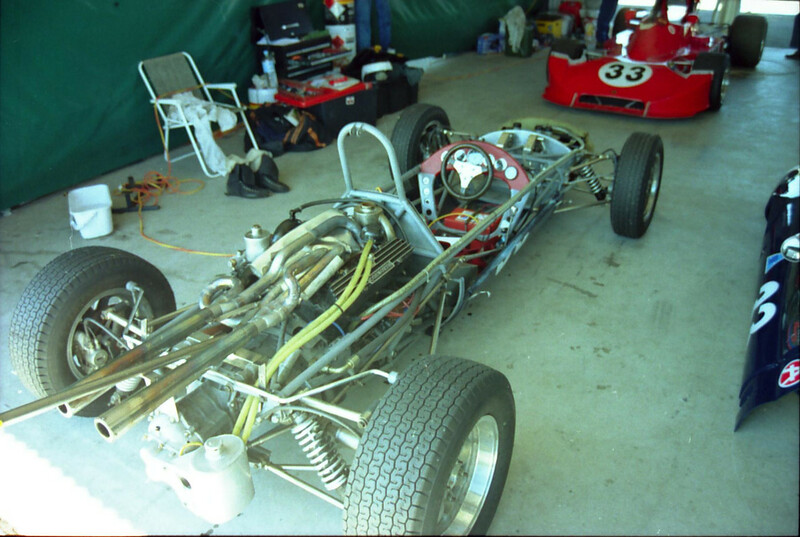 The chassis was built, the engine and box installed but it was not finished. 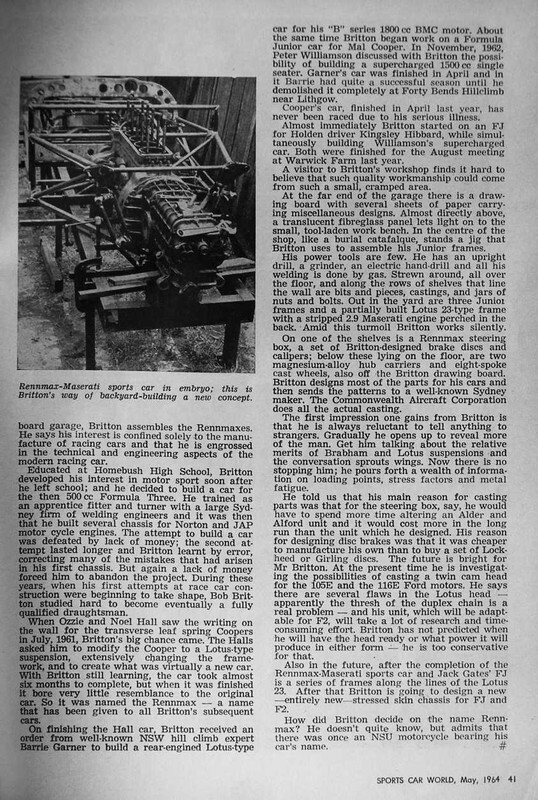 Rawsthorne then went to South Australia, both the Hough and Hall families picked up their respective possessions and eventually Graham Wood bought the Cooper parts which had been used in the Rennmax. 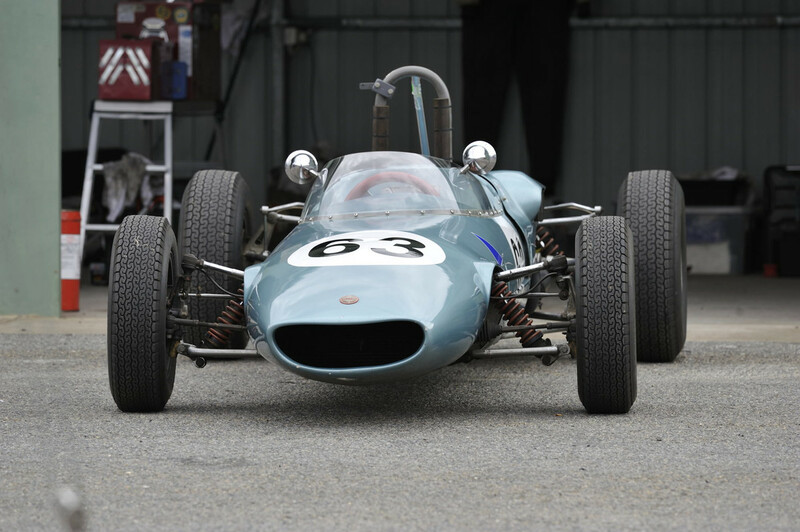 What happened to the Hall's original Cooper chassis? See from post 61 on, Terry...Though I do have some further information. Bob Rawsthorne suggested a new chassis to be built by Pat Crowe. This had been commenced for the Hough Cooper Maserati but Rawsthorne was involved with both cars.The chassis was built, the engine and box installed but it was not finished. 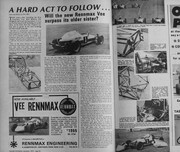 Rawsthorne then went to South Australia, both the Hough and Hall families picked up their respective possessions and eventually Graham Wood bought the Cooper parts which had been used in the Rennmax. So what did Graham Wood want with the Cooper parts? I presume that to make an authentic restoration they would have to gather up all the Cooper bits? "Do you want it for show or do you want to use it?" he was asked. Replying that he wanted it to use, he was advised to get a modern-day build of the engine, a totally new item. He did this, and I think he obtained a freshly-made transmission as was carried across from the Cooper. These items cost him a lot of money, but it enables him to take it onto the track with some confidence that it will drive back to the pits under its own steam. No, hang on, without any steam, but under its own power. I believe this is in keeping with the 'as it was, so it shall be' standard as used in Australian Historic Racing. Thanks to Lynton Hemer for the photo. This particular car was built by John Sicardi from Bob's jigs and molds. When he finished the job he told Bob, "It's a lot of work!" and he didn't have to do any of the designing! Rebuilt at huge expense by Barry Naylor, with a lot of input from (Gosford) John Wright, it uses wheels Wright had made using a part of the pattern Bob did originally for the wheels on this model. But he reduced the outer ring so regular alloy spun sections could bolt to each side of them. Edited by Ray Bell, 26 April 2018 - 21:44. The Cooper bits used were the wheels, gearbox and brakes. Bob made all-new uprights and suspension pieces for the car. As I understand it, all the original Cooper pieces went to Graham Wood for his car (there's a picture of it on the 'Personal photos' thread at Catalina) and I doubt that any of the original Cooper pieces made it to Richard Bendell's hands. He had quite a bit going on at the time. Edited by Ray Bell, 26 April 2018 - 21:45. One 'project' mentioned at the end of the story never happened, of course. Bob would never have had the money to build a twin-cam head for the Ford engines. Though I would never doubt his ability to make it if he decided to do so. And the monocoque chassis for FJr and F2 (strictly speaking, ANF2 and ANF1½ which formed the second and third-string formulae alongside the ANF1 2½-litre formula introduced at the beginning of 1964) was a long time coming. 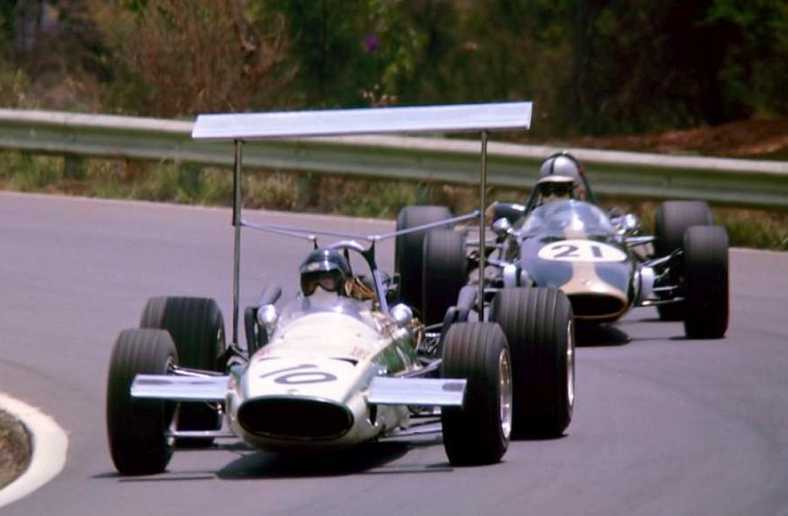 The specific thoughts Bob had at that time probably never eventuated, but after following the Brabham lead for the next decade he did devise a unique monocoque ANF2 car in the BN7. Edited by Ray Bell, 31 March 2017 - 10:23. 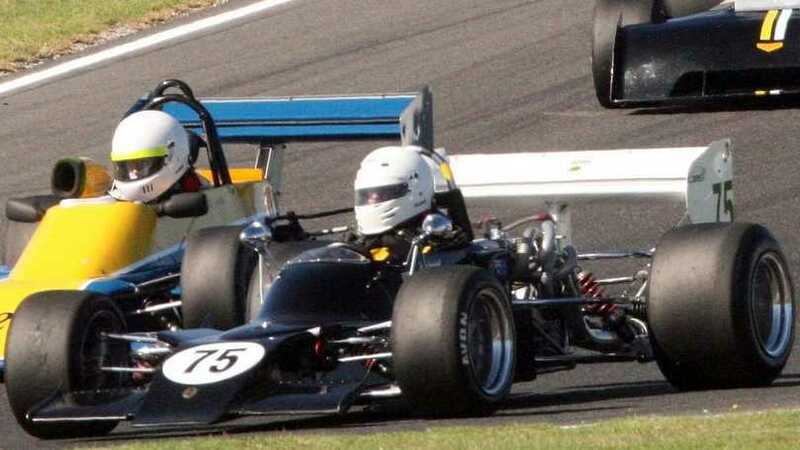 Also Damon Beck's (a Rennmax Formula Vee driver, both Mk1 and 2) brother. Chris was at the Financial Review for a time, too, and later at one of the TV magazines. The originals, which most will recall sold at first as 'Cee Bee' Vees, were still winning a lot of races. But very serious competitors in other makes, Mako, Revell and Elfin particularly, could mix it with them and take some of the spoils. I would think that this was the last period magazine article written about Bob and his creations. It was the last car he designed for competitive racing and it sold in the biggest numbers of any of his cars. Mind you, the price wasn't too bad if you look at the ad in the bottom corner. Edited by Ray Bell, 26 April 2018 - 21:46. 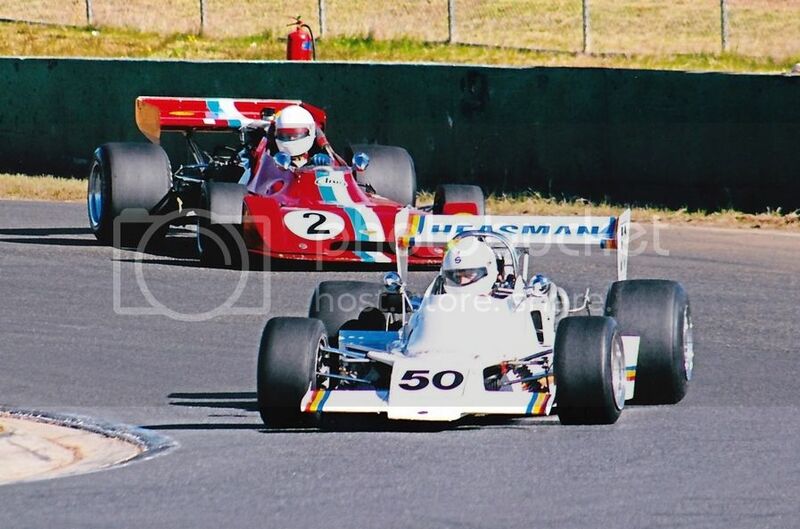 1977 , My employer at the time John O'Callaghan bought the BN3 which was converted to Formula Ford. He bought it from Bob at his garage in Croydon and this is where I met him. This car had been used by Russell Nordern as a spare car and had been converted I believe back from F2 where it was used by Big Max in the Singapore GP. John raced it unsuccessfully and decided to hand it over to a sixteen year old ..me. It was raced in various FF D to E championship rounds during 79, 80, 81, 82. Interestingly the chassis was square tube which suffered regular cracking and way too much twist to the point where the roll hoop stays would crack in half on occasions. 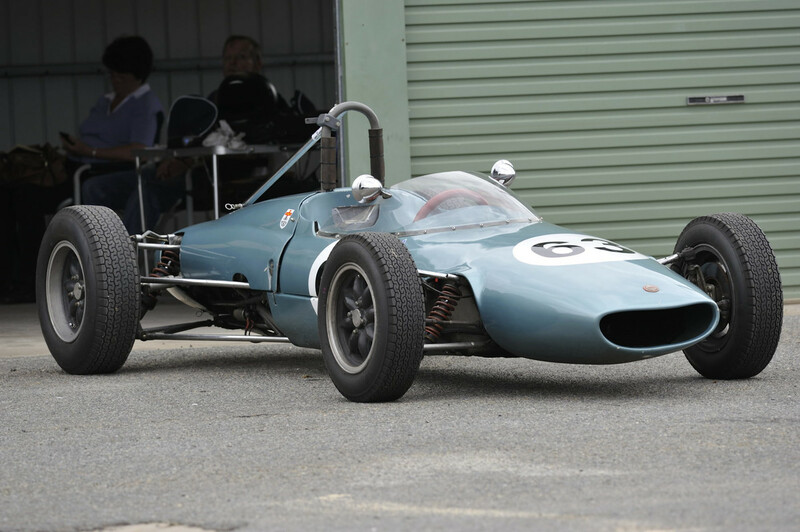 I'm not sure of the detail but at some point it had received a new chassis made of square tube, there was some conjecture as to whether it was the original Heasman car or the Stewart car. 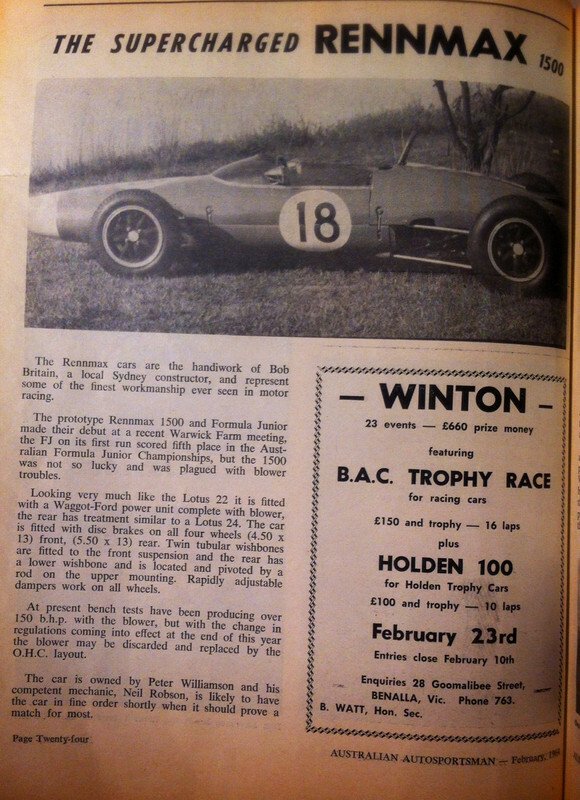 During this time it was sold to Bob Holden as Bob was my employer and I convinced him to buy it , I drove it during this time along with the Lola. when it was badly damaged in 83 and rebuilt by the new owner Trevor Shuemack a complete new chassis was required and become known as the TS01. It was reported in 2010 that after 18 years in Australia it had found its way back to the UK. It was advertised at a Monaco auction in 2005 as a Cooper Maserati. In the detail it was described as a Cooper T51 sans engine. There was a 4 cylinder Maserati engine available if required. 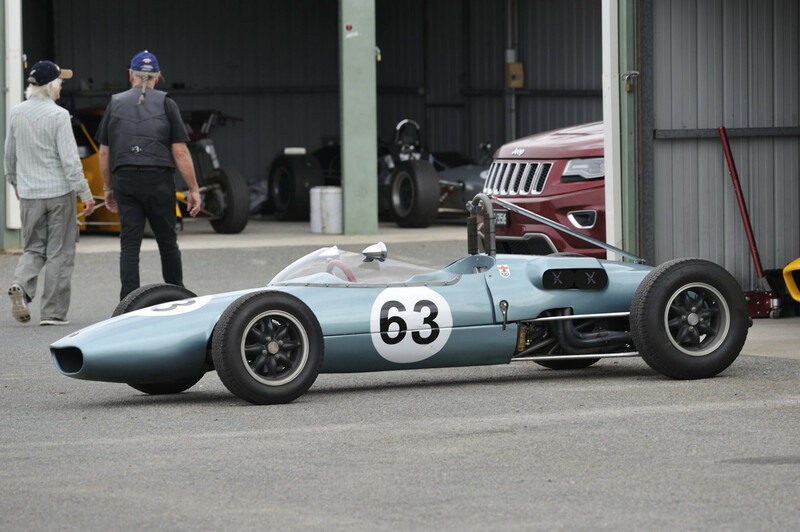 As it never ran as a Cooper Maserati it is doubtful how it would be allowed to run as such. The last report on it was in 2010 by the late David McKinney that it was owned in the UK by a Peter Ratcliffe. What size Ford engine was in that, please? From the Warwick Farm December 1963 programme. 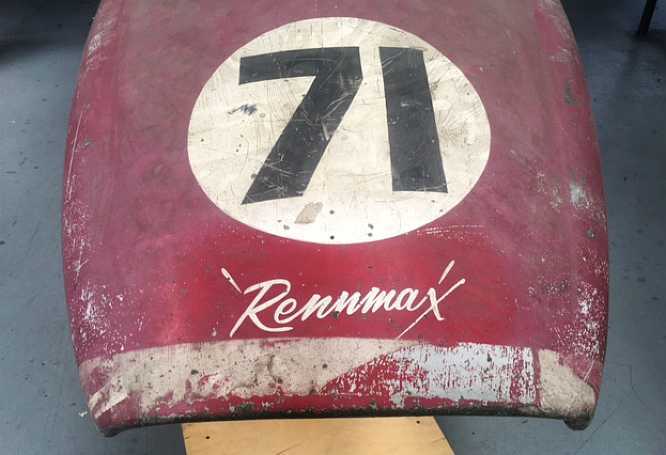 That car, by the way, is clothed in the Rennmax bodywork Bob designed and had made for the BN1s. 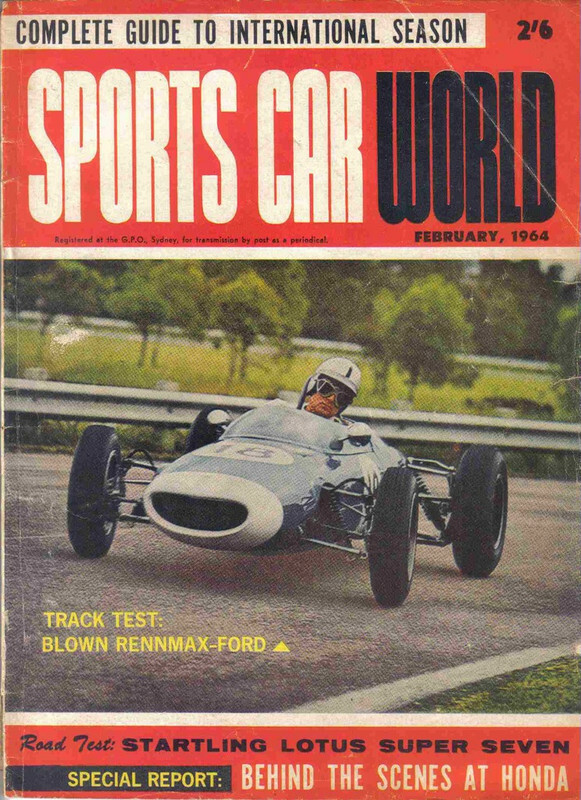 Kingsley Hibbard's (photo on the first page of the thread) is the same while Barrie Garner's car wore a Lotus 20 body. Edited by Ray Bell, 02 April 2017 - 11:19. 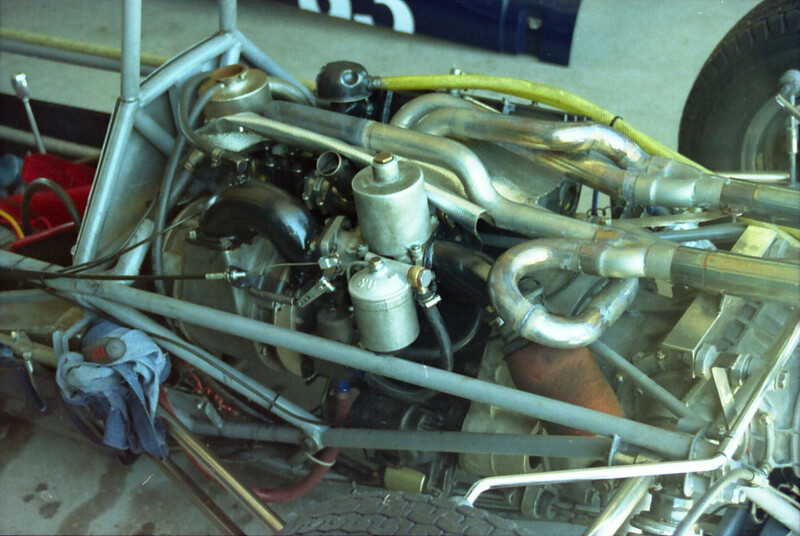 Part of one caption describes it "...a Cosworth prepared Ford 116E motor suitably modified for supercharging by Waggott." " we have it on the original 2 inch SU Alcohol Carb. 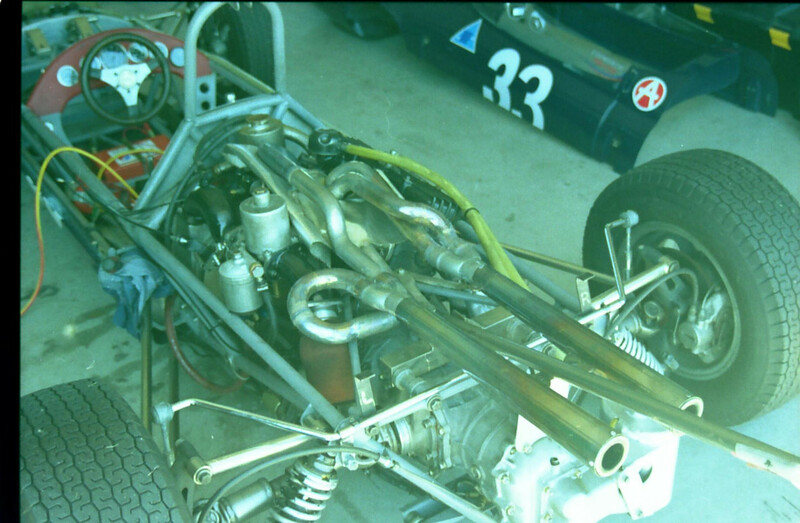 The engine was new from Cosworth as a pushrod set up for the blower, and the blower new from Shorrick - all set up with tooth belt drive in 1963 / 64"
I believe this is the car in question. Apologies for the poor quality of these old scans. Can anyone explain the exhaust system on Harry's car? There seem to be too many primary pipes for a 4 cylinder engine! The left megaphone is fed by Nos 1 & 4, though it looks like the early part of No 4's pipe comes into the collector as well in one of the pics. The right megaphone is fed by 2 & 3. Just wondering how many stories are out there about Stan Smith? 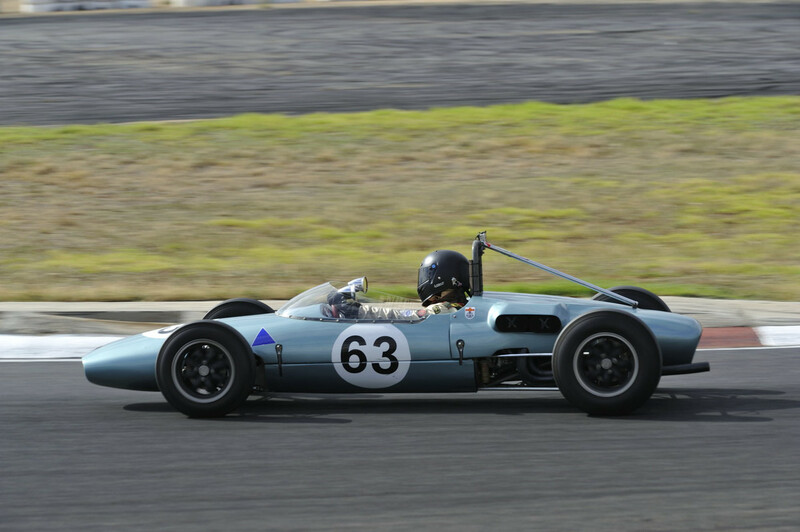 And there is Rod Brincat's BN7, as seen this time at Oran Park's June 2008 meeting. Noel Bryen was very quick in this BN1 at Mallala on the weekend. Edited by SJ Lambert, 25 April 2017 - 04:32. That was definitely 'wings day' and Leo Geoghegan has his biggest wing on board, but Clive has none. Photo thanks to Richard Simpson. Edited by Ray Bell, 27 April 2018 - 03:10. Posted by Ken Hyndman, it carried a description carried over from Allen Brown's site. 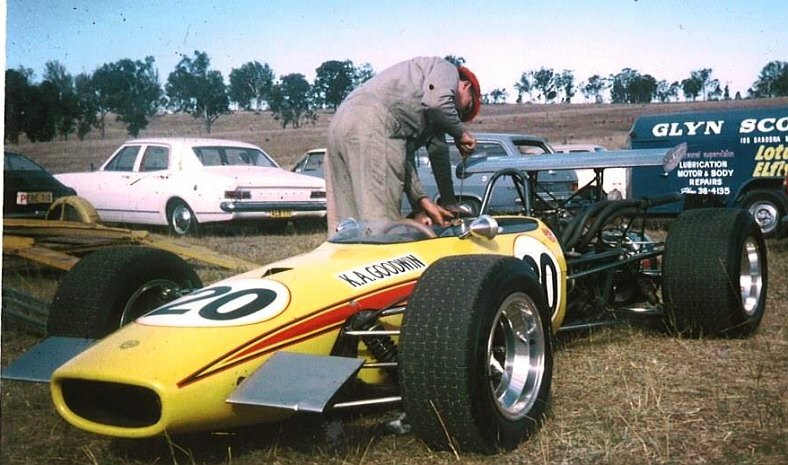 The car is the BN3 of (obviously) Ken Goodwin and was taken at Oran Park in June, 1970 with Ken working on his (as always) immaculate car. Though Allen Brown lists the car as possibly having an FVA, it never did have. Ken built up his own twin-cam Lotus engine for the car after starting out with a 997cc downdraught screamer. A very nice car, I'm sure all will agree. 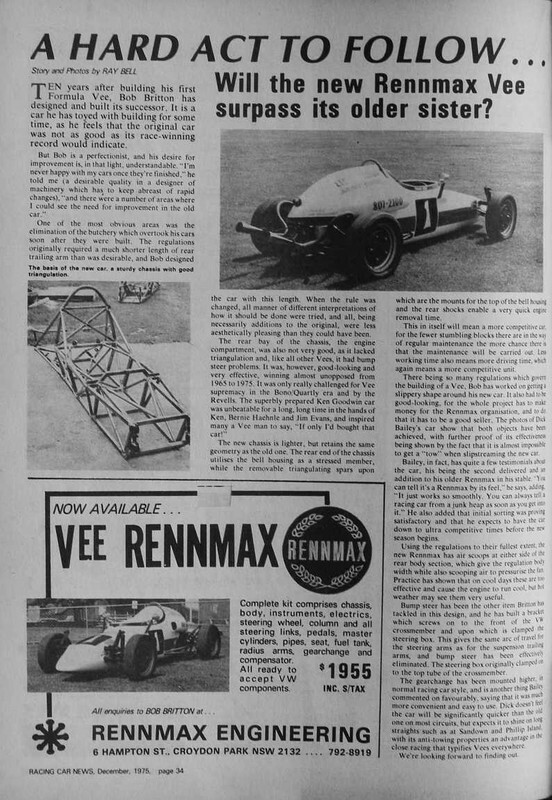 And it was Ken's second Rennmax, he having been a Vee racer with a great record in the car he sold to Bernie Haehnle. Edited by Ray Bell, 27 April 2018 - 03:11. Welcome additions to this thread. Bob is now progressively getting closer to finishing his Corolla-powered car. And he's already making parts and doing drawings for his next car, an open-wheeler this time. The Corolla-powered car is awaiting electrical assistance, someone is coming to set things up so it can be fired up and driven. Meanwhile, the front-engined open-wheeler is starting to take shape, or at least the frame is. For Bob this is a body exercise mainly, trying to capture the shape of the Vanwalls in a slightly scaled down size. Power is to come from a 2-litre BMW, as will the transmission components. When I phoned a couple of days ago the open-wheeler build was well in progress, though Bob is a bit concerned at the difficulty of getting decent nickel-bronze rods. It seems the stuff from Taiwan isn't as good as it could be and he needs to find a source for the good stuff. Hi Ray whats he finding its short comings ? He tells me that the Taiwanese stuff won't produce a nice neat fillet, it tends to bubble up. From what I believe the gas flux is no better than flux coated, just a good deal cheaper in the long run. I have used BOC flux coated ok, though I doubt my skills are on par with Bobs! I am sure he has had more experiance in welding than you Lee. I have watched Bob Strawbridge building Southern Cross Off Road frames using nickel bronze. He built a lot of cars using that method though now mig welds them as it is stronger and causes less cracking. And is a bit quicker too. Actually I have been surprised by the number of people using Tig to do this work as it is not as strong as mig. But is prettier! Lee, please explain why you consider TIG "not as strong as" MIG...I am keen to know the answer. LOOK at the weld, a tiny little 'pretty' weld with less penetration than the bulkier uglier Mig fill. Tig has its place but not on main structural items. TIG is great on thin metals, eg body panels, as it gives far less distortion than any other form of welding and far less filler material to try and tidy up after. But when talking heavier material where far more strength is required MIG is both stronger and quicker. And not near as pretty! And gives far less distortion than stick. And as most know MIG will fill small gaps as well. And fairly big ones as well. Many experts will say there is nothing like stick and with the modern inverter machines I would tend to agree. BUT the heat distortion then is a major consideration. Though a chap I know has built steel fuel tanks with a stick welder. He will not have MIG. For very thin material [and rusty] oxy acetylene is still the best. MIG likes clean material as does TIG as well. I have two structural steel places near me and there is not a MIG or TIG in site, and neither is MIG or TIG gas bottles. And yes while I am far from an expert welder I have built several car trailers, structural components on race cars as well as doing exhausts and welding patches on rusty cars only one of my welds have ever broken. That with oxy MIG and stick. For the work I do and my skills MIG is the best. Though I find it very hard to actually see now! The second cutting is full of nestalgia, well done.